After earning a master's degree as a Rhodes Scholar and serving in the U.S. Air Force, Dr. John Delane Wilson returned to his alma mater, Michigan State University. Dr. John Delane Wilson, Michigan State University alumnus and MSU’s third Rhodes Scholar, died in March 2013 in Lexington, KY. He was 81. Wilson was born in Lapeer, Mich. While attending Michigan State, Wilson played defensive back as a member of the national champion teams of 1951 and 1952. He was also a member of the Academic All-American football team, and was elected to the GTE Academic All-America Hall of Fame in 1989. He received the Duffy Daugherty Award in 1987 for his college athletic career, and was inducted into the Michigan State Athletics Hall of Fame in 2001. After earning his master’s degree in English literature as a Rhodes Scholar from Exeter College at Oxford University and after serving in the U.S. Air Force, Wilson returned to Michigan State to serve as assistant to the vice president of academic affairs and at the State University of New York as assistant to the president. In 1965, Wilson was named director of the MSU Honors College. Wilson also taught as an assistant professor of English after earning his Ph.D. in English literature. In 1968, Wilson left Michigan State University to become president of Wells College. He was then appointed the first provost and executive vice president of Virginia Tech in 1975. 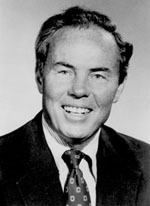 In 1982, Washington and Lee University elected Wilson as president, where he served until his retirement in 1996. Wilson received numerous awards and recognitions. He was inducted into Omicron Delta Kappa in 1983, and Washington and Lee University awarded him an honorary doctorate of letters in 1996. In 2000, he received Virginia Tech’s Ruffner Medal, its highest honor, for service and dedication to Virginia Tech. In 2007, he received the Distinguished Alumni Award from the Lapeer (Mich.) Community Schools.